“Amazing grace! How sweet the sound,…” Many of us are familiar with this favorite hymn. God’s grace is truly amazing, yet it becomes even more amazing to us when it is understood with precise knowledge and application. That really gives us something to sing about! Having an accurate understanding of God’s grace is fundamental to living a more than abundant life. The first time I learned about God’s grace was in our ministry’s Foundational Class. For many years I had attended church on a regular basis, prayed, and read the Bible, but none of my works had brought me any closer to God. My life was blown about with all kinds of teachings, and I had no answers. I knew I lacked spiritual strength and power in my life. Then as each session of the class unfolded, my whole perspective toward God and life changed drastically. I had once viewed God as full of anger, judgment, and condemnation and found Him so hard to love. This perspective of God dissolved in my mind as I was taught the accuracy of His Word. The true God of love, grace, mercy, and peace was being made known to me. God is love, and therefore His very nature is to give. As we grow in our knowledge of God’s unconditional love and His willingness to give, we can better grasp the riches of the grace He’s given to us. God’s grace gives us the strength we need in order to stand fast through any challenge we may face. By standing fast in God’s grace, we can continue to build genuine spiritual strength in our lives and as a result walk more abundantly in God’s power. What exactly is God’s grace? Why do we need it, and how can we utilize it? The word “grace” means unmerited divine favor. God’s grace can enable us to go further than we ever thought possible. It is God’s favor freely given without claims or expectation of return. God, knowing we could not earn His favor, gave us His grace. God’s grace is very abundant and would be a broad topic here. Therefore, we will focus primarily on three things: first, knowing the abundance of God’s grace given to us through the accomplishments of His Son; next, what we are to do with the grace given to us; and finally, the example of the Apostle Paul who stood fast in God’s grace despite many challenges, seeing how we can do the same. God, by His grace, gave His only begotten Son for us. Jesus Christ paid the price for all mankind. Knowing that all we have been given is by God’s grace, we can stand fast through challenges with great humility and walk with prevailing strength and power. God, by way of the accomplishments of His Son, provided an abundance of grace for us when we were born again. What comfort it brings to our lives and what burdens are lifted when we know that we are saved by grace! None of us ever have to feel like we need to work our way into heaven since it is not of our own works or of ourselves to be saved. God made the solution very simple. Every born-again believer has received salvation by God’s grace through Jesus Christ, our lord and savior. The works of the first man, Adam, resulted in death due to his disobedience. But the works of Jesus Christ resulted in abundant grace to all that believe. Grace abounds to us today. God’s grace not only involves our Lord Jesus Christ, it revolves around him. It is by his accomplishments that we can be born again. God’s Word makes it very clear in these verses that we are saved by His grace. None of us could have ever earned our salvation. Our works had nothing to do with it. Through Jesus Christ’s accomplishments, we each have been freely given God’s unmerited divine favor. We have an abundance of grace given to us for abundant living. 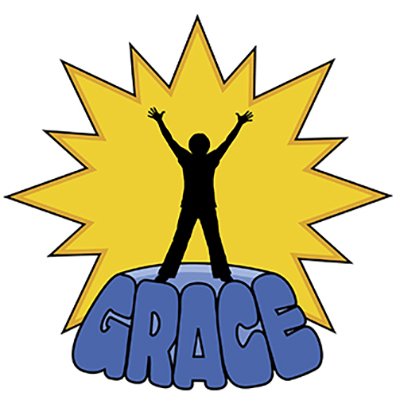 We have been given an abundance of grace wherewith we can reign in life….